Identity theft – Why the spike and why now? It’s critical to get ahead of the identity theft epidemic, not just because of the financial loss, but because real people are getting caught up in it. So, what’s the best approach to fight identity fraud? 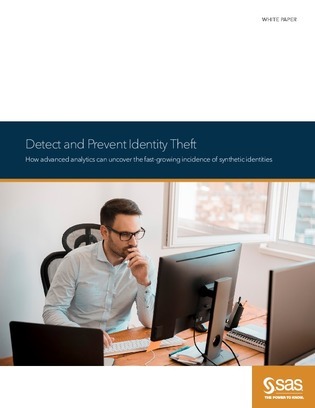 In this white paper, learn how advanced analytics can be used to detect synthetic identities while managing false positives. Read on to learn about some approaches already proven in the financial services industry.